The new £1 coin is set to be released later this month, and people are being urged to get rid of their old coins. As of October this year, the old £1 coins will become worthless. Savers are being advised to make sure they are not left out of pocket when shops stop accepting the coins. Mr Lender, a UK based short term loan provider, explores what the new £1 coin looks like, and what to do when the old coins become worthless. 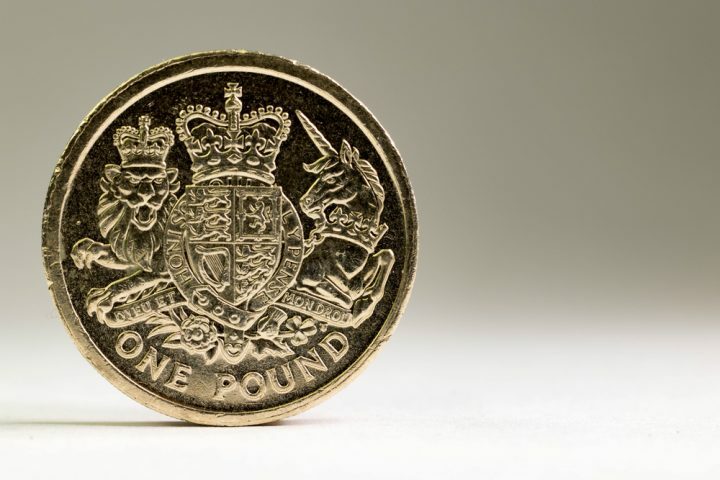 The new £1 coin will be rolled out on the 28th of March, and is getting a complete makeover. The first change is it will no longer be round. The new coins will be 12-sided, and will also be ‘bi-metallic’ – meaning they will look similar to the current £2 coin. It will also feature a new design with the English rose, Scottish thistle, Welsh leek and Northern Irish shamrock surrounded by a Royal coronet. The other side of the coin will feature the fifth coin portrait of the Queen. The new £1 coin is thinner and lighter than the current coin, but it is slightly larger. They also feature a holographic image of a pound sign and a number one when viewed from different angles. The new coins are said to contain an additional secret high-security feature which will make it much harder to forge. As of the 15th of October, the current round pound coins will be deemed worthless, and shops will stop accepting them as legal tender. Major banks say they will still accept the coins after this time, but only from customers who bank with them. Between March and September, there will be what is known as a ‘co-circulation period’. This is where both pound coins will be in circulation, and businesses can accept both. This gives the public time to spend their old pound coins, or take them to the bank. The new £1 coins will work in most high street supermarket trolleys, and vending machines will be adapted to take the new coins. The government has warned businesses to start making changes like upgrading machinery to ensure the new £1 coin will be accepted. They are also urging businesses to train staff to be able to recognise the new £1 coin. Cash handling firms and vending machine operators have been directed to thenewpoundcoin.com to help guide them through the process. Although there is still seven months until the old coins lose their value, people are being urged to spend or exchange their coins as soon as possible. Martin Lewis’ Money Saving Expert website said “there may be a few months left to sort it out, but it’s worth doing now as it’s all too easy to squirrel money away in piggybanks and forget about it. Carting a bag of coins to the bank is a real faff – particularly if there isn’t a branch near where you live. So it’s much better to spend them now”. Why has the new £1 coin been released? Adapting to the new £1 coin is likely to cost very little for most people, if at all. But there are some industries which will need to pay to adapt to the new coins. The Borough of Poole have more than 100 pay and display machines in operation, and they say it could cost around £25,000 to upgrade their machines. Bournemouth Council however, have more than 200 machines in operation and they estimate the cost to be around £7,000. Other pay and display machines may not need to be replaced at all, but will just need a software update instead. The Automatic Vending Association expects the changes to cost the industry around £100million. The new £1 coin is said to be the biggest coin update to British currency since the new 50p was updated in 1998. The new £1 coin is the latest in a string of currency changes, after the new £5 note was released in September last year. New £2 and 50p coins are said to be released later this year, as well as the new £10 note. After the release of the new £5 note, businesses needed to adapt very little. However many businesses are likely to face costs and bigger adjustments to adapt to the new coins. Just how much of a problem this will cause is questionable, but many believe it will be a problem free transition. The British population can only wait and see what the effects will be, and embrace the new £1 coin in the mean time.